Hi friends! This week I’m writing to share with you that I’m introducing a Gift Certificate option for my upcoming workshops! 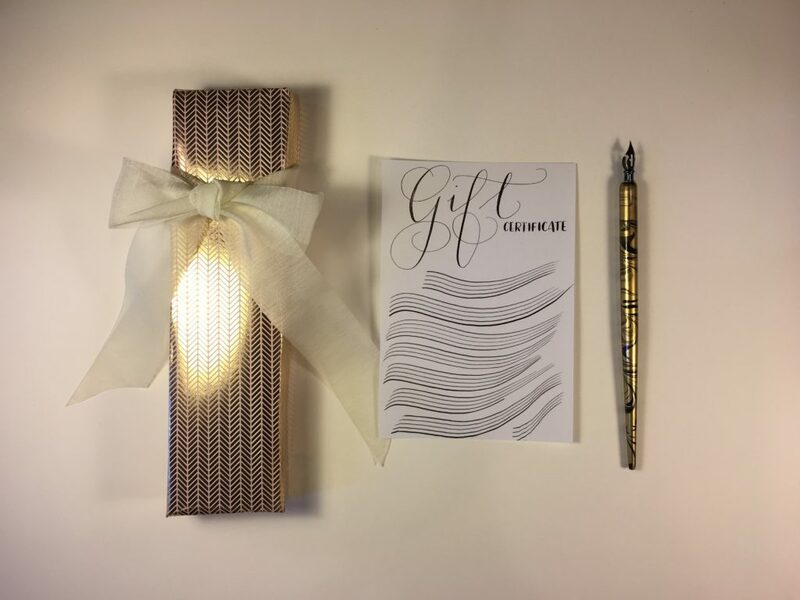 This year, you can surprise a special person in your life by giving the gift of learning the beautiful art of Modern Calligraphy by attending one of my workshops at A Work Of Heart, right here in the South Bay Area. click here to get a Gift certificate! Be sure to follow the instructions and choose the “Option 6 $95” and if you have any trouble deciding, feel free call 669.292.5001 and someone at A Work Of Heart sure will help you out. 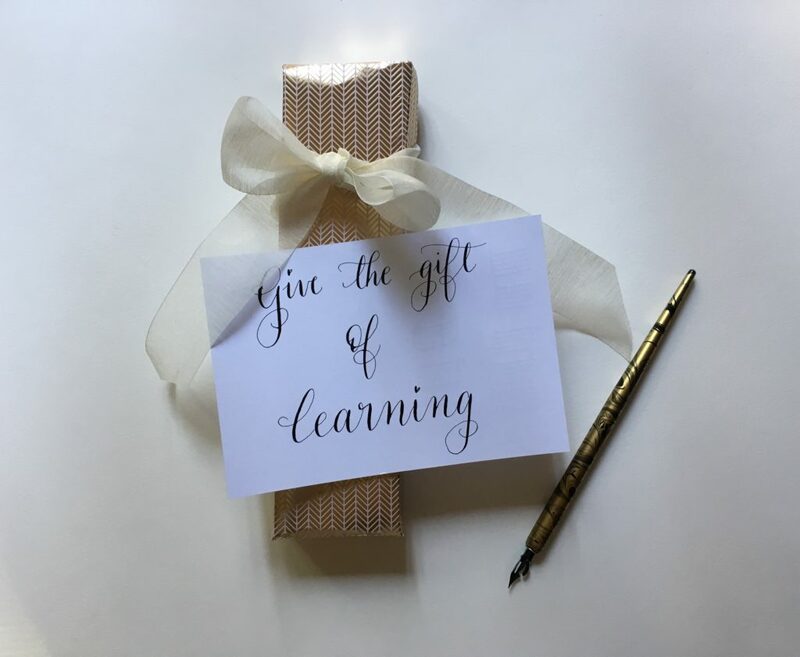 Choose something different this Holiday Season and give a thoughtful and beautiful gift… the gift of learning!